Miami is known for its long hot summer. No wind and no waves leaves surfers absolutely nothing to do for months at a time. 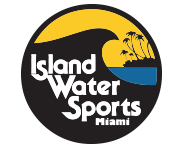 With this is mind Island Water Sports Miami began selling wakeboards in the summer of 1995. 15 years later wakeboards and wakeboarding have become a large part of what Island is all about. Come Check Out the New 2015 Liquid Force Wakeboarding Line. Wakeboards, Wakeskates, Wakesurfs, New Bindings, and All New Accessories, Including Impact Jackets, Ropes and Handles, in Stock Now.